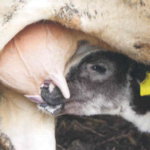 Streptococcus uberus often results in both clinical mastitis cases and elevation in SCC results. Typically, it is associated with straw yards and poached fields, therefore Strep uberus is traditionally thought of as an environmental pathogen. 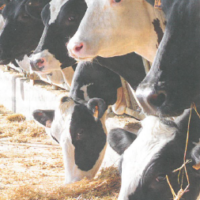 Recent research has shown that Streptococcus uberus is a pathogen with many different strains, and certain strains are more likely to be spread from the environment to the cow, while other strains are more likely to spread from cow to cow (contagious spread). 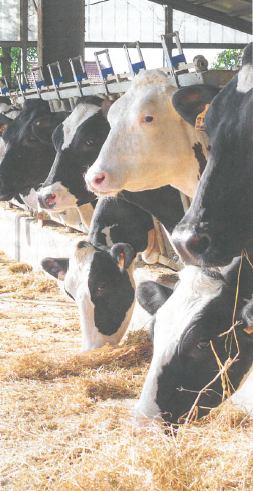 Different strains have different abilities to reproduce and survive in the cow/environment, and differ in their capacity to maintain infection in ‘carrier cows’. 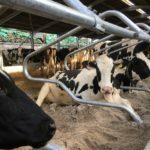 This results in a bug with the ability to cause problems from many different angles and requires a whole farm approach to help bring outbreaks under control. 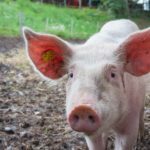 This has considerable significance on the treatment protocols and prevention which must be drawn up on an individual farm basis. Poaching in fields – Often weather related! Good records and regular cultures of clinical cases will help to form suitable treatment plans and help identify risk areas on individual farms.